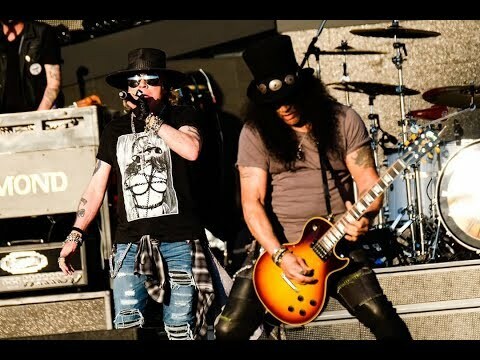 Guns N’ Roses performed their new single, “Shadow Of Your Love”, for the first time in 31 years during a June 6 show in Odense, Denmark, and video from the event has surfaced online. The song recently delivered Guns N’ Roses a return to the US rock charts for the first time in almost a decade when it debuted at No. 31 on the Billboard Mainstream Rock Songs chart after earning 1.1 million audience impressions in three days of airplay across all rock radio formats in the U.S. in the week ending May 7, according to Nielsen Music.